1 Bedroom Apartment To Rent in London for £1,575 per Calendar Month. PREMIUM - This modern one bedroom apartment is situated on the top floor of this exclusive development in the heart of Greenwich. 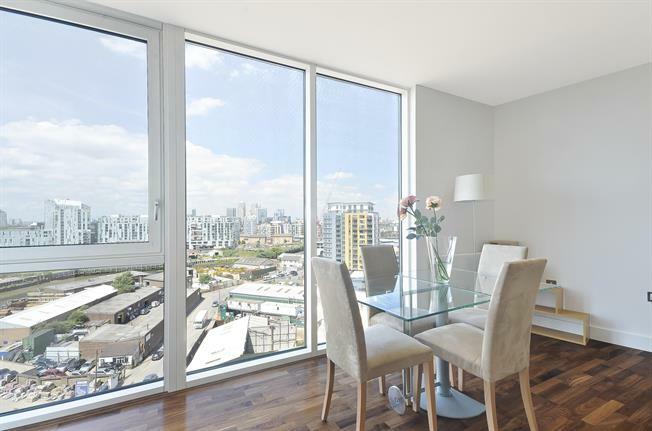 The apartment is finished and furnished to a high standard and benefits from wooden floors, modern kitchen and bathroom, balcony and fabulous uninterrupted views towards Canary Wharf and The City. Located moments from Greenwich DLR station and all of the shops and facilities of Greenwich.